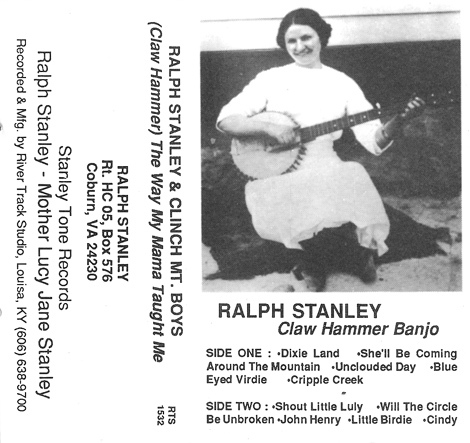 This is a cassette Ralph released late 80s/early 90s. Eight of the ten tracks are instrumentals with Ralph and Curly taking turns to play the melody. Dixie Land and Little Birdie feature vocals by Ralph. Blue Eyed Verdie is a re-working of 'Black Eyed Suzie', and had also been recorded in 1971 on Curly Ray's Chicken Reel LP. The album was reissued on CD in 1997 with eight extra tracks as Songs My Mother Taught Me & More - "Clawhammer" Style Banjo.